Last Monday a new issue started at Paper Issues: Gettin' the Scoop on the Sweet Days of Summer! You can link up your projects that have anything to do with summer, how you escape the heat, swimming, running under the sprinkler, vacation, ice cream, popsicles and other summer treats, barbecues, carnivals, flip flops or what's the latest news/scoop. You can also link up projects made with Bella Blvd products, they are sponsoring this issue and the winner will receive the Bella Blvd Summer Squeeze collection kit!! For me Summer is spending time at the beach and in the ocean. Even though I live very close to the beach, we don't have steady hot weather in Summer overhere. So when I'm in Florida, I enjoy the days at the beach even more. This picture is taken at Clearwater Beach. I used the Chic Tags Let's Go collection for this layout. 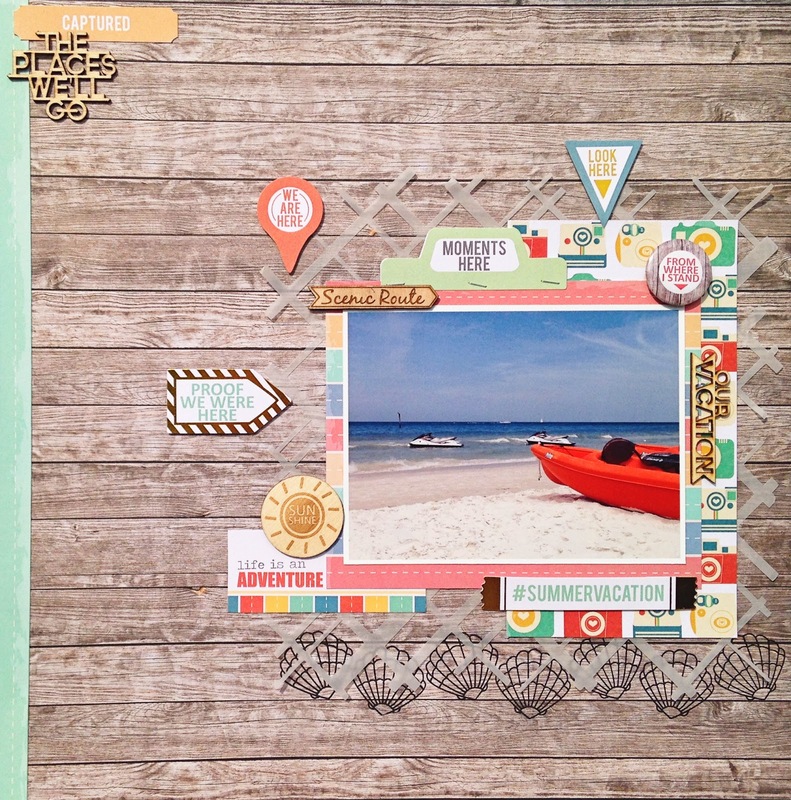 I think it has the perfect colors and patterns for beach photos and I love the tidbits and wood veneers! 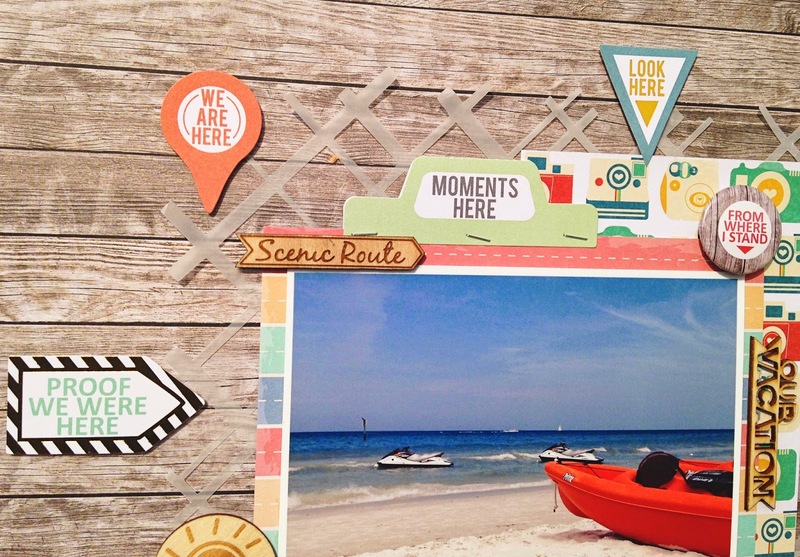 The Preppy Plaid cut file is from The Cut Shoppe and I cut it out of vellum for a subtle touch behind the picture. 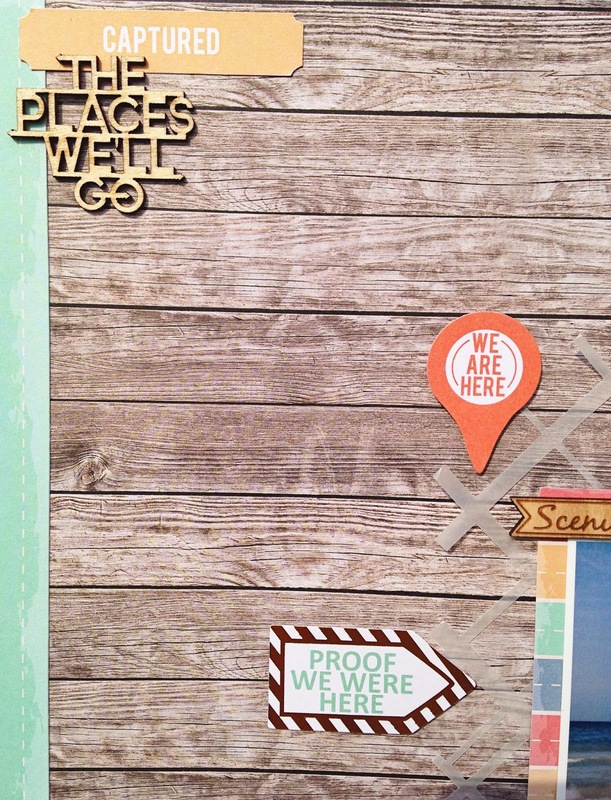 Thanks for stopping by today and don't forget to link up your projects over at Paper Issues for your chance to win the Bella Blvd Summer Squeeze collection kit! Every little detail on here is pure perfection, Danielle! Love the cut vellum design in the background. This is gorgeous! 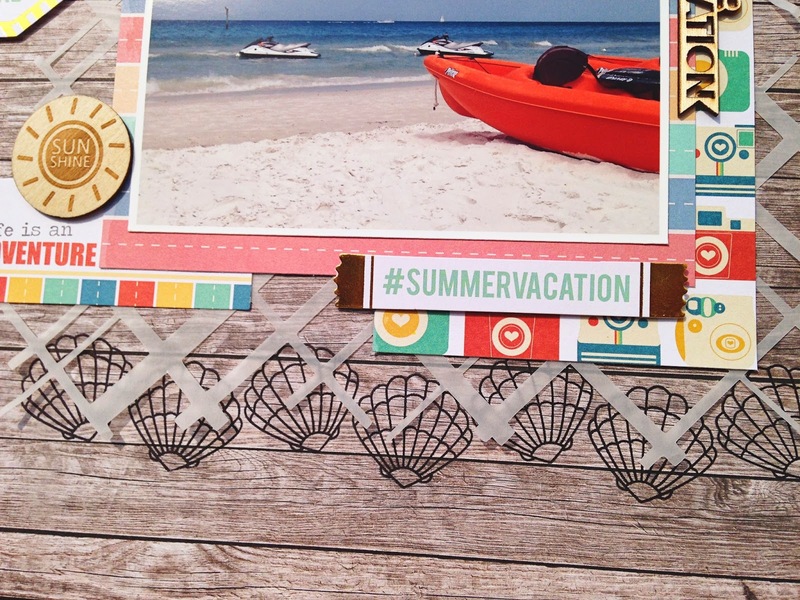 LOVING the photo, the wood grain paper and the shells!!!!!! Love all the touches on your page. The vellum cut is wonderful! !